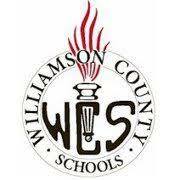 Williamson, Inc. Town Hall is a monthly community forum featuring elected officials centered on the issues being discussed in the Tennessee Legislature and in Williamson County. Representatives are given a platform to discuss the issues in greater depth with their constituents. The one-hour program is aired on Comcast Channel 3, the county's public information channel, and rebroadcast on Williamson County Television's YouTube Channel. Learn more at www.williamsonchamber.com.